Last night, when I scheduled today’s 9 a.m. post about Rep. Mark Martin’s apparent abuse of state reimbursements and possible ethics violations, I was pretty sure that one post would not be the end of this tale. I mean, when you point out that a candidate for state-wide office has been billing the state to use part of his own home as an office, you tend to ruffle enough feathers to draw some sort of response. At the same time, when you base all of your allegations on verifiable evidence, most of which was provided by the candidate in question, there’s not a whole lot of response that the candidate can give. Unless, that is, the candidate is willing to — how should I put this? — eschew truth and offer up an excuse from way out of left field. 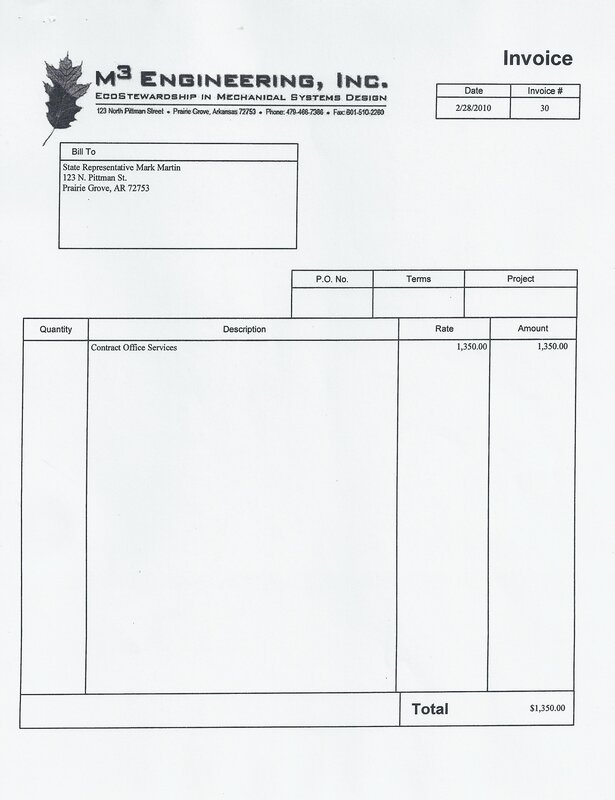 It turns out that a big portion of Martin’s taxpayer tab is a $1,350 monthly rental payment to Martin to rent office space in HIS OWN HOME from himself. 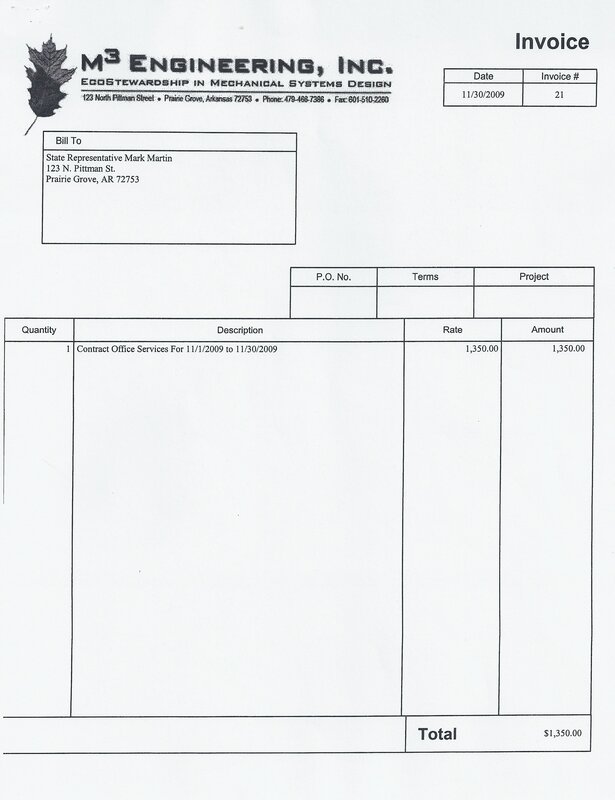 CORRECTION: A spokesman for Martin says that, despite addresses listed in various public documents, his expense reimbursements are for renting space to himself from his business office in space he subleases from another business at 9310 Wagon Wheel Road in Springdale, not from his home in Prairie Grove. My post went up at 9 a.m., and Max didn’t post Martin’s reply until sometime around lunch or a little later, meaning Martin literally had hours to come up with an explanation, and THAT was the best he could do? Jeez. 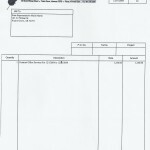 True, that lists the Pittman Street address for the registered agent, Martin, and not as the principal address for the corporation. Maybe this is why Martin thought he could use the Wagon Wheel address as his explanation. But, then, we’re just getting started. 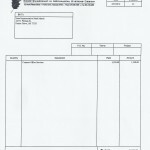 State law required Martin to file a yearly Statement of Financial Interest. Starting with the one filed in 2008 (because that is when Martin incorporated his company), Martin listed income from M3 on this form. 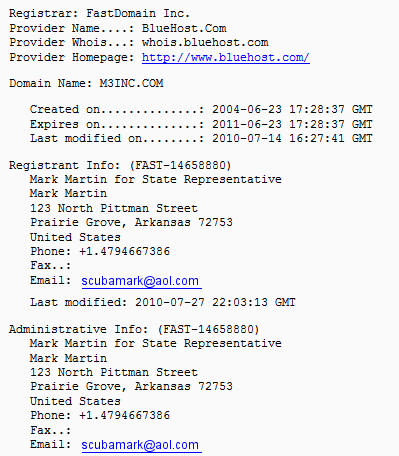 He listed the Pittman Street address as M3’s address every single time. 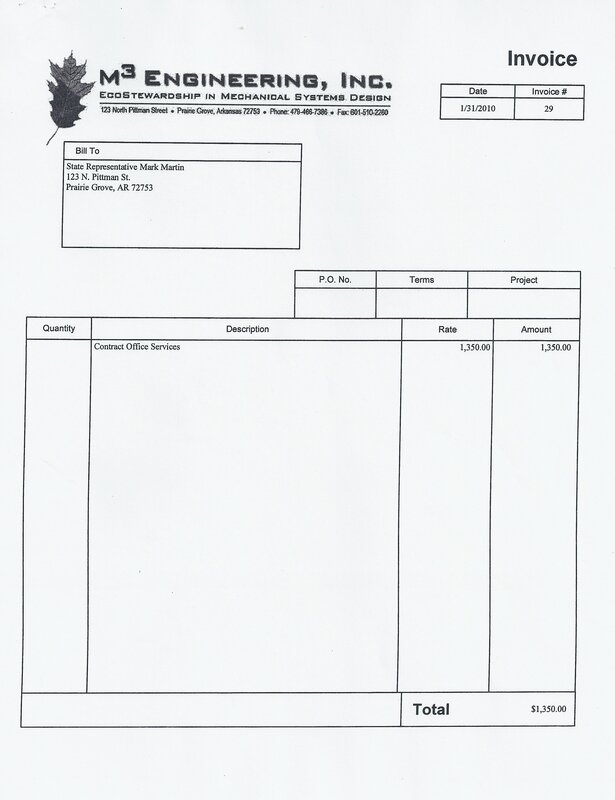 Oh, state law also requires Martin to itemize expenditures made for campaign purposes. 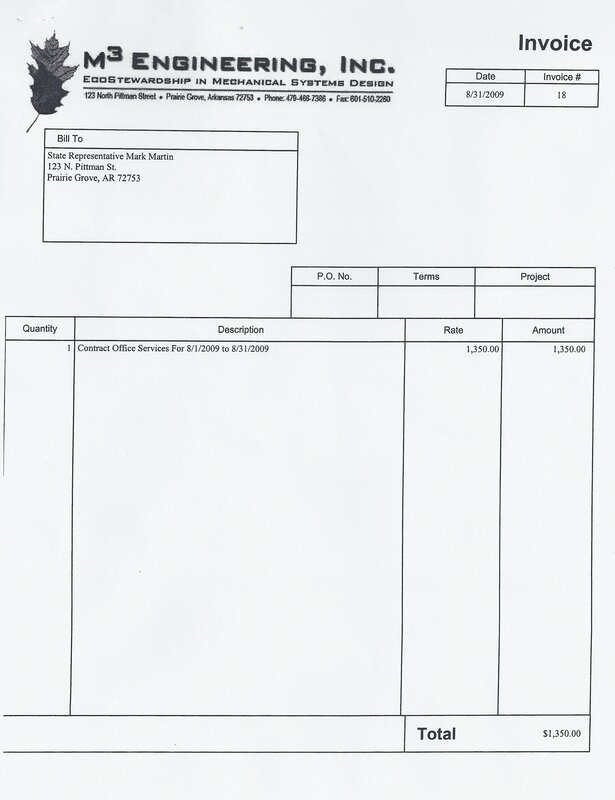 For example, there’s this payment to something called M3 Engineering, Inc., which is apparently located at 123 N. Pittman St in Prairie Grove, AR. and M3 Engineering, Inc., registered Martin’s personal blog, Off the Marble, from the same Pittman Street location. 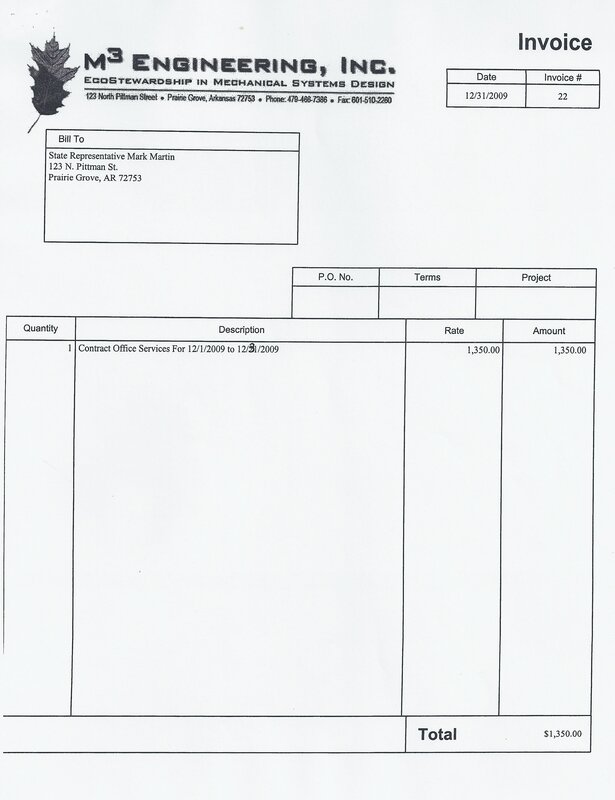 Oh, there’s also the thirteen invoices from M3 Engineering, Inc., that I have, all of which show the company’s address as Pittman Street. Oh, yeah, there’s also the aforementioned M3 Engineering, Inc., website. 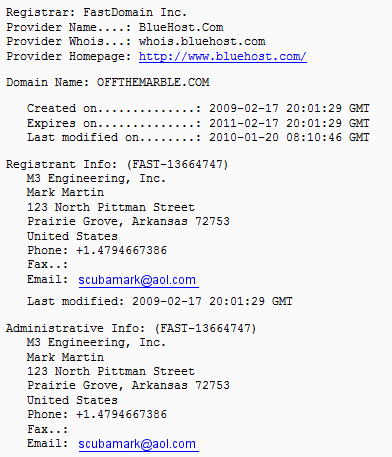 Conversely, a search for “Mark Martin” and “9310 Wagon Wheel” shows only today’s references in the Arkansas Blog. Yeah, that’s not the least bit questionable. Nope, not at all. Belaboring the point to an extreme degree, you have a situation where absolutely everything about M3 Engineering, Inc., nearly all of which was created or submitted by Martin, says that the company’s address is N. Pittman Street. 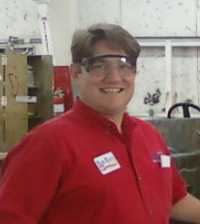 Conversely, there is literally NOTHING save for Martin’s statement today that would suggest that that M3 Engineering has any ties whatsoever to 9310 Wagon Wheel Rd. Nothing. Well, according to Martin’s own donor lists, they are campaign donors. Basically, if you want to distill this entire post down to ten words, my message is this: Martin is lying and he hopes voters will buy it. I base this conclusion on the fact that every single bit of available evidence, most of which was created and/or filed by Martin, lists M3‘s address as Pittman Street; none of it even references Wagon Wheel Rd. Do I know for certain that Martin does not have a Springdale office? No. 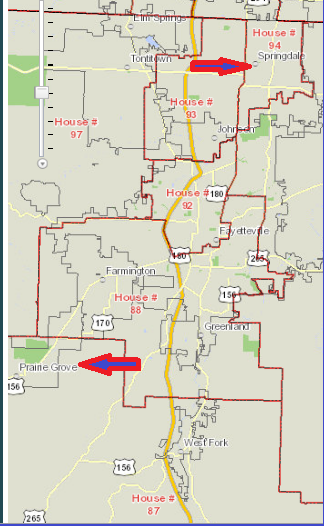 However, I cannot see how it makes sense that Martin (House District 87) would have his district office in Springdale (House District 94) over 20 miles from Prairie Grove. 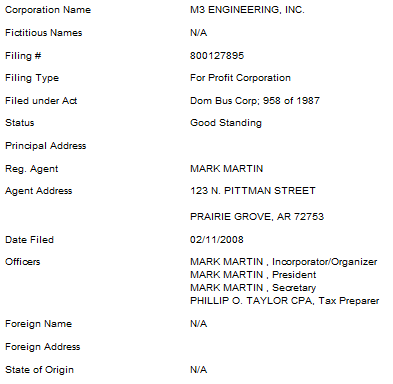 If Martin’s company really does have an office in Springdale, one would assume that there would be some record of it. Unless, of course, Martin has no desire to allow his constituents to be able to see him on purpose. I suppose, in that case, having your district office outside of your district would make perfect sense (though I wonder if it would make you a horrible representative of your constituents’ interests). 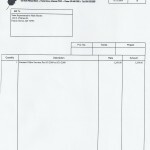 All invoices from Kimbel Mechanical Systems, Inc., to M3 Engineering, Inc., for office space, from 3/1/2008 to present. 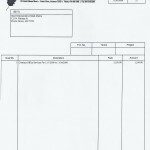 All canceled checks from M3 Engineering, Inc., (or Mark Martin personally) to Kimbel Mechanical Systems, Inc., for office rent. Any documentation of a lease or rental agreement between Mark Martin and/or M3 Engineering and Kimbel Mechanical Systems. Affidavits from District 87 voters who met with Martin at his Springdale office, including contact information for those affiants. As soon as I see that stuff, I will happily write up a mea culpa admitting that Martin really is a paragon of fiscal responsibility and concern for his constituents. Until I receive it, however, I reserve the right to continue pointing out actions by Martin that seem to amount to nothing more than a cash grab by a deceitful and shady candidate. Are you really going to go around posting personal email addresses and phone numbers around? 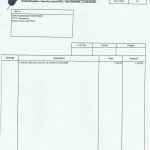 Oh I forgot, your favored candidate posted social security numbers for the whole world to see. Come on at least redact the last four numbers or something. When I pointed out that (a) all of the information I posted was public record, most of which was given by Martin personally, and (b) that it wouldn’t make a lot of sense to redact the last four numbers of a phone number when the whole point I was making was that the phone numbers were the same, Myers replied that he thought I might do it as “some common courtesy.” You have to love people who pretend to care about things like “courtesy” in the face of a rebuttal that makes their initial premise silly. Oh, “Who is Mark Myers,” you ask? (Seriously, your rhetorical questions are great about keeping this post moving.) He is, among other things, the person in charge of Myers Global Media Group. Why does that matter? 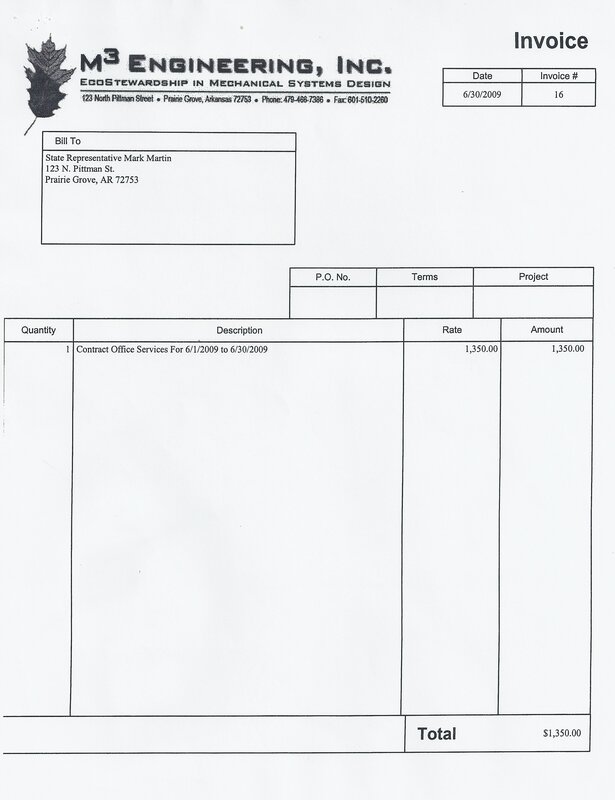 It doesn’t beyond the fact that Myers’s company received nearly $1000 in consulting fees from … /insert suspense-building pause … Mark Martin for Secretary of State. I mention this only to point out that the only person — including Martin and people who work for him on his campaign — to contact me regarding my post was someone (a) who had received $994.80 from that campaign just over a month before and (b) who thought that I should redact portions of Martin’s freely given phone numbers in a post about Martin’s confusing use of those phone numbers. Curious, no? 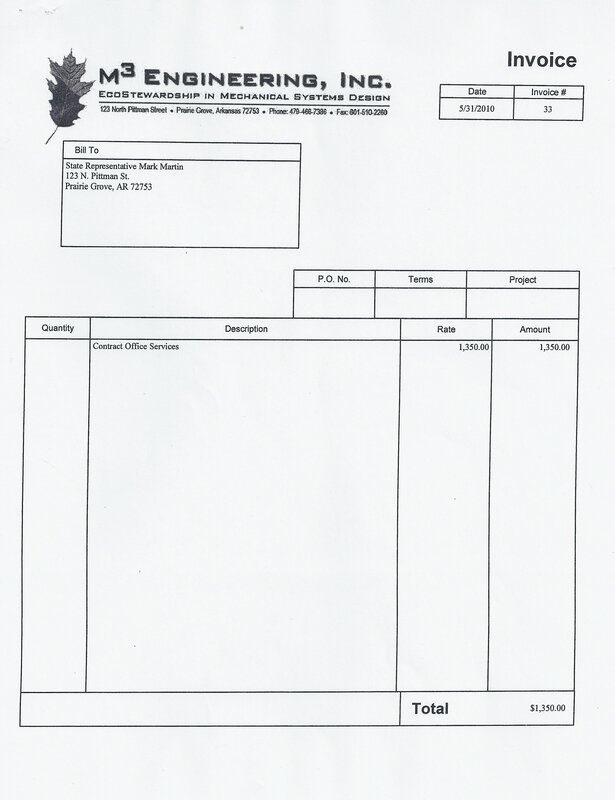 As for Martin’s claim that Pat O’Brien violated the MOVE Act by having flaws on ballots that were mailed out, that claim is absolutely, positively incorrect. I plan on doing a post on this prior to Monday, and I am happy to reply to emails if people are curious prior to my post, but I will note that, if Martin read the MOVE Act — a brave supposition on my part, I admit — he reads English-language statutes about as well as I read Farsi-language comics.